Sorry, Wesak Mt. Shasta won’t happen this year (2019) due to illness. Scott Werner was born with the gift of higher dimensional sight, which means that when he “tunes in” to someone, he would not only see them in the physical level but also “see” them on multi-dimensional levels. Dr Werner received his medical degree from Saint Louis University School of medicine in 1986, specializing as an OB/GYN and general practitioner for 19 years. He practiced at Good Samaritan medical center in Phoenix Az. Scott was recognized in advanced laparoscopic laser surgery. He later moved his successful medical practice to Utah and during his career he delivered over 2000 babies successfully. 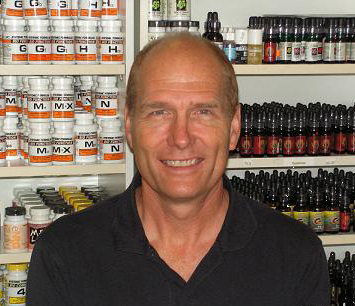 Scott used Alternative/complimentary medicine and has seen thousands of patients……. Read more. 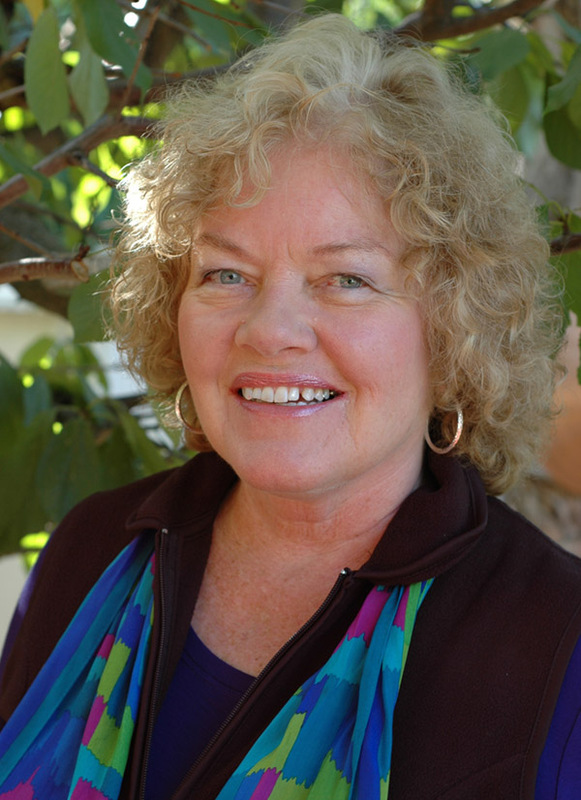 Cheryl Scott lives two lives: One life is lived as a PhD prepared nurse whose life work has been to bring balance and holistic care for families who birth in an allopathic medical system of care. She is a national and international speaker advocating for the holistic support for birthing and postpartum care of women and newborn infants……. Read more. In Telos, Welcoming New Earth, Bryan shares a series of messages from Master Adama, the High Priest of Telos. The Lemurians of Telos have an important role to play in our planetary ascension process and they have much to share with us in the days ahead. Join us as Bryan discusses the Inner Earth city of Telos and various messages from Adama and other dimensional beings such as the dragons and Devic angels……. Read more. Randi Maggid is a Shaman, acclaimed Breathwork Healer, and author of Beverly Hills Concentration Camp: A Healing Journey and Memoir in which she discusses her personal story of being a daughter of Holocaust survivors, and her journey to heal herself from emotional and physical pain, which led her to teach others to do so. 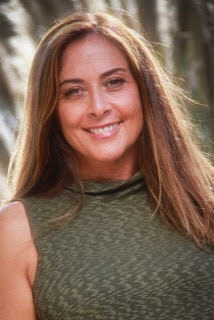 She has appeared on numerous television and radio shows and lectures around the country……. Read more. Lisa Long was born psychic. 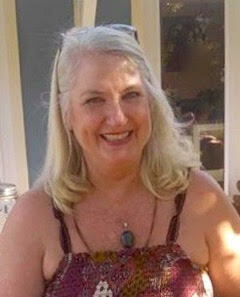 She has unique abilities to help her clients to heal, love and clear deep childhood wounds that have been limiting their life and creations. She helps them get unstuck so they move their lives and businesses forward. 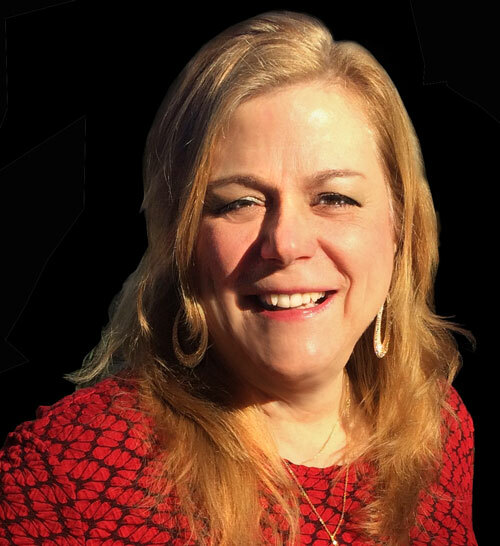 Lisa was one of the first professional psychics on the internet in 1994 and she is known for her wonderful healing energy and divine intuitive sessions. 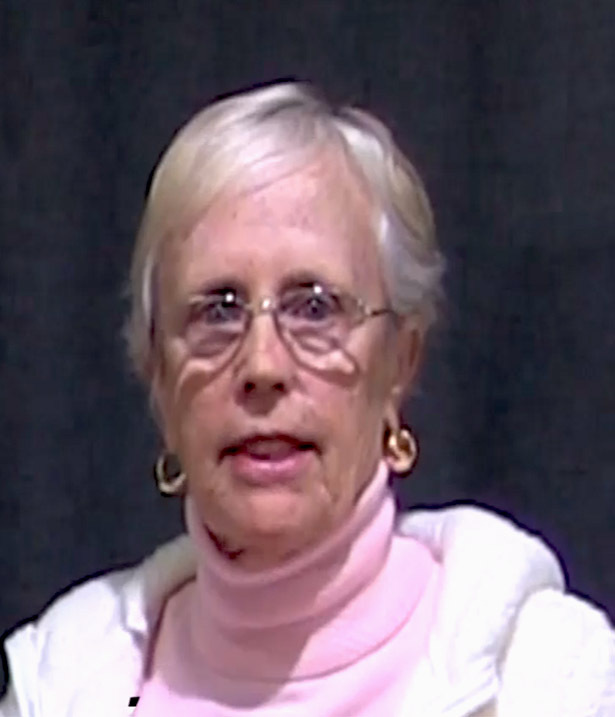 She works with her clients remotely worldwide……. Read more. Homeopathy involves an intimate relationship to spirit, a formal way of communicating with natural energy to heal on every level – spiritual, emotional, mental, and physical. While they may not shake rattles or pound drums, homeopaths are trained and adept at choosing the force in nature that will produce a profound healing for an individual……. Read more. This is the next frontier of science; to observe, research and understand our universe and beyond from direct personal experience rather than relying solely on scientific instruments, theory and mathematics…… Read more. Jude will be conducting healing sessions throughout the event. 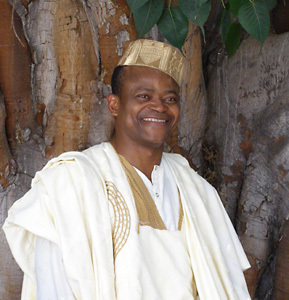 He has been a spiritual healer for over 20 years and is currently a resident Shaman and healer in the city of Los Angeles…. Read more. 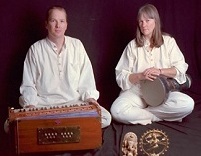 Sahadev and Dawn Fazende lead bhajan/kirtan chanting weekly in Mt. Shasta. Kirtan is call-and-response devotional chanting of the Divine Names in the Hindu tradition. This repetitive type of chanting naturally puts us into energetic alignment with the deities whose names are chanted…. Read more. 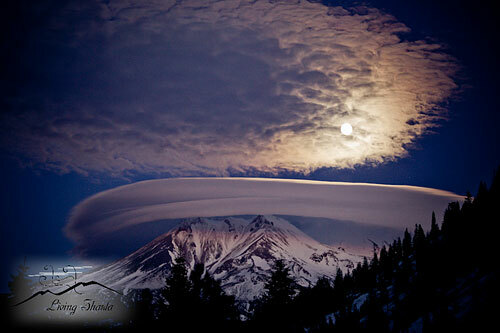 ​Mount Shasta is known worldwide for its incredible spiritual power. The pure energy the mountain radiates makes it easy for you to connect with your deepest essence and to remember your true purpose. After enjoying a weekend of profound speakers and inspiring music, you’ll be ready to come up on the mountain for a life-changing spiritual adventure. Attendees at the past five Celebrations have found the sacred site journey to a powerful way to deepen and integrate their Wesak experience. We will do gentle hikes to some of the most potent spots on Mount Shasta. Once there, you’ll enjoy guided meditations as well as time to receive the profound gifts offered in the Silence. 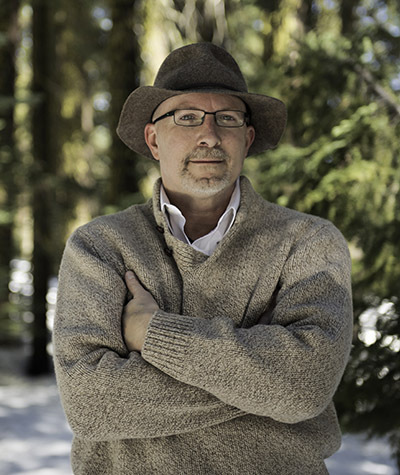 Your guide will be Andrew Oser, an author and life coach who lives in Mt. Shasta. Andrew has been guiding retreats and tours on the mountain since 1982. 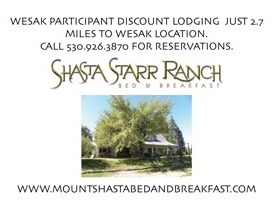 He has a great passion for helping visitors receive the abundant gifts Mount Shasta has for them. To make this life-changing experience accessible to all of you, Andrew is only charging a nominal fee for his services. With advance registration, which is strongly encouraged, the fee is only $44 per person when reserved in advance. The price the day of the tour increases to $55. We will be meeting May 14th at 9:45 at the Headwaters in the City Park, 1315 Nixon St., Mt. Shasta, CA 96067. All activities on Mt. Shasta are conducted through Shasta Vortex Adventures, which operates under special use permit from the U.S. Forest Service. These activities operate on a non-discriminatory basis. I felt inspired to share with our community a beautiful highlight from our annual Wesak event this past weekend of May 1st to the 3rd, 2015. I have been attending Wesak since its inception for over 20 years and for the past 5 years, we have been graced to have Spring Hill Nursery loan us plants of our choice for setting up the Wesak hall of events. This includes presenters, musicians, Kirtan, guests and volunteers. This year we had something noticeable take place that to my knowledge has not happened any other year to this degree. This year when I went to pick up plants from Spring Hill Nursery, I wanted bring as many blooming plants as possible to brighten the effect up on the stage. The nursery is very generous year after year to provide our event with plants for loan with the provision that we state they are for sale, and that they come from Spring Hill Nursery. They also state that if there is any damage in transport or during our event, we agree to buy them. We had a smaller group this year, and I first had concern about the fact that the plants we were loaned were more in tight buds and the leafing plants were tucked in so to speak. The stage we put the plants on was darken so no natural light came into contact with the stage except for a few string lights. As the weekend progressed I noticed something which I had never witnessed before. Up on stage I could almost watch the flowers start to bloom in a slow motion fashion and by the end of the weekend with all the speakers have given their talks, the musicians and Kirtan play their music and the guests really being present for this event, the plants responded actively in a like manner. The spiritual light was such that ALL of the plants came to full bloom, expansion and were literally bursting forth in chorus. What a joyous surprise to witness and partake in. The flavor of our deep relationship with nature and the plant kingdom was thriving. Whoever buys these plants are receiving the most high, in terms of natural allowance and maximum in plant growth. Again, I deeply want to thank all participants who made Wesak a wonderful event and especially thank Spring Hill Nursery for the opportunity to share their beautiful plants with us at Wesak. Check out our Wesak attendee photos page! 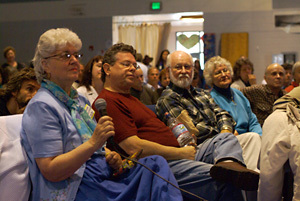 Audience participating with one of our presenters. Click here for an important notice about your space. 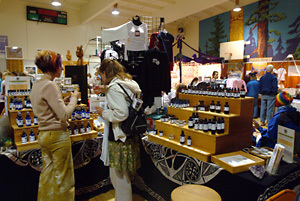 Early shoppers checking products at our Vendor Fair. Human beings operate in so many realms, above and beyond the miraculous but relatively mundane physical, mental, emotional, and energetic. But what is it that connects us, what are the virtues and substance of our true natures, as individual “consciousnesses” and as the infinite, magical, mystery of which we are all part? And as our world changes, as time seems to speed up, as our minds and bodies and technologies evolve, what remains true and essential? Has this changed? Surely our relationship to it has, as we grow in awareness. With so much changing so fast, how do we stay attuned and aligned to live our part consciously, both personally and universally? Mount Shasta’s Wesak festival is a “spiritual family reunion” begun, in what some consider one of the holiest places on this earth, by the late Dr. Joshua Stone and now under the direction of Dawn Fazende (editor of Mount Shasta Magazine). Local Native Americans believe Mt. Shasta is where God lives and Creation began. Many believe there is a city under the mountain and that Mt. Shasta is a portal between dimensions. It is said that the lenticular clouds so frequently seen here are generated when a vehicle moves between dimensions. Tibetan Buddhists, who are building a monastery here, have 28 specific criteria a mountain must meet to be called sacred. Mt. Shasta is the only one in the USA that meets all 28. People have been drawn to be present with Mt. Shasta’s pristine and beautiful natural environment for years. They come to renew their souls and spirits and, at Wesak, to hear the best teachers available anywhere who assist with their personal development. With every century, people see things differently. A 21st Century worldview is emerging — of oneness, interdependence and the primacy of consciousness — but calcified institution stay stuck in the limitations of 20th Century thinking. Our job is to be the presence of the Alternative wherever we are, always presenting another way to see the world whenever love is not put first. Years ago our local Buddhist Abbey contacted us about the fact that we were using the wrong date to celebrate Wesak. They reminded me that Buddha was born a Hindu, under the Vedic (or Sidereal or Eastern) Astrological system. I checked online and virtually all the Buddhist countries celebrated Wesak at a different time than we were. So I contacted a Vedic astrologer who cast the Wesak dates back to the time of Christ and found they Wesak was ALWAYS on the full moon of MAY which, in the Vedic system is Taurus. It seemed westerners had again taken an eastern tradition and made it conform to our specifics by using the Tropical (Western) Astrological system. I looked into this very carefully and came to the conclusion that Alice Bailey made a typical western centric mistake — normal for her time and culture — and assumed Wesak was a western creation, under a western zodiac, the one with which she was familiar. She was told to celebrate on the Taurus Moon (and we all know it’s really the Scorpio moon, Taurus sun.) I believe she went with what she knew — the western sun sign of Taurus running from April 21 to May 21. Many of the descriptions given by various western spiritualists — including I am told Bailey herself — say that the festivals of the three moons are EASTERN in origin. The Buddha full moon is a Vedic tradition — an eastern tradition. (Remember DK is the Tibetan.) The down pouring of the Wesak blessing has always been tied in with Buddha’s birth/death/enlightenment, according to Dr. Stone. Wesak is the date of this birth, death and enlightenment. This is celebrated by Buddhist countries as the first full moon in May. The Vedic system shows Taurus at varying times — because it actually calculated when the constellations are directly overhead — but roughly mid May to mid June. Sun in Taurus, full moon in sun sign Taurus, occurs twice in a year — once in the Tropical and once in the Vedic systems. We decided to used the Vedic system as it seems to be more in keeping with Buddha’s heritage and traditions. Where two or more are gathered the Ascended ones will attend, no matter what the dates may be. It is only we on this plane who are constricted by such measurements. We are fully in touch with Wesak’s spiritual energies. Our participants fully receive the outpouring being offered by the Ascended Masters. While doing that they also receive information to allow them to incorporate that energy into their lives. This year’s event is also a fundraiser for our local Meals on Wheels Auxiliary. Part of the proceeds from Wesak 2017 will be donated to the program. Meals on Wheels needs a wheelchair accessible van capable of carrying at least 4 wheelchairs. The cost on these is quite substantial — upwards of $50,000. Grants may cover part of the expense but they require matching funds from the program. We are counting on Wesak to provide a descent part of the those funds.